catering to families, singles, couples, old and young! Attend All 5 Friday Night Live Events! 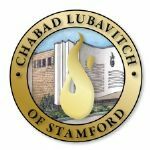 Join us for a spirited Kabbalat Shabbat, special children's program, followed by a smashing Kiddush. Click here to see the other Friday Night Live dates! Yes! I would like to sponsor Friday Night Live!